Phase 1 of the contract was to supply and install pallet racking at 8.2m high to give 1,008 locations complete with safety mesh, column guards and barrier protection. 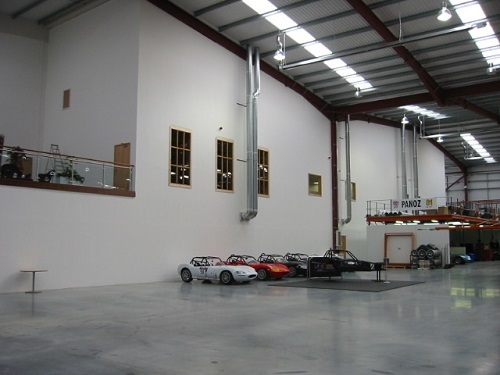 Phase 2 was to install a mezzanine floor @ 133.2m to provide workspace below for the maintenance and manufacture of Ginetta cars and storage of car parts above. 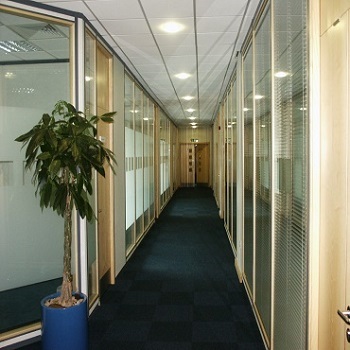 Phase 3 was to install 2 further mezzanine floors to provide office space. Floor 1 was 375.39 Sq/m and Floor 2 was 46.98 sq/m. Both floors were encased with a one-hour fire protection. 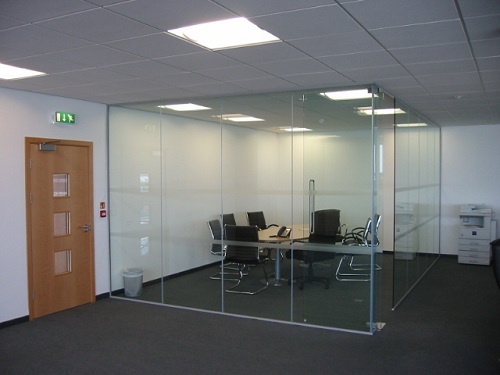 Warehouse Storage Solutions was also given the task of installing a firewall around the floors. The firewall was 45,675mm long x 12,200mm high with 8 windows at the first-floor level. 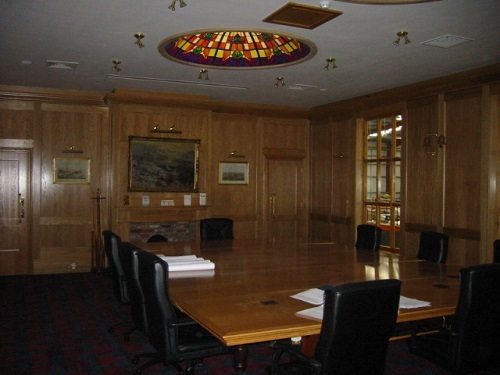 Phase 4 was to install floor to ceiling partitions on the mezzanine floors to provide offices, boardroom, kitchens, toilets, laboratory, communications rooms, archive storage, gymnasium and boutique. And all finished off with ceilings and lighting. 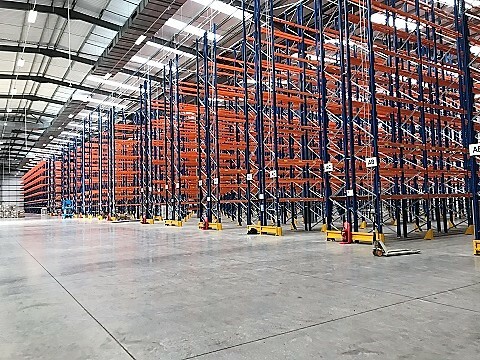 After completion of the above projects, Warehouse Storage Solutions was approached by LNT Automotive & Team LNT requesting that we supply and install additional pallet racking, long span racking and shelving. Warehouse Storage Solutions Ltd completed all of the above works two weeks earlier than the contracted time frame and have since been invited back to make various modifications and additional installations of pallet racking, shelving, kickboards and handrails.